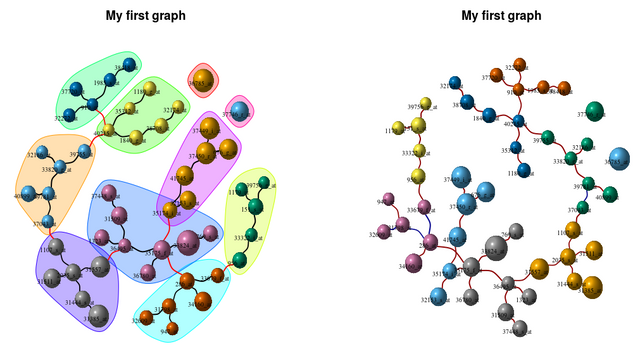 I would like to represent the linkage (or correlation) of some data (let say genes) with Cytoscape. So I would like a way to transform a distance (or so) into a network (one-to-one links). Distance filtering is certainly needed in order to avoid a dense and ugly network graphics. a/ is there an easy way to do such filtering and conversion with R (or Cytoscape directly)? b/ is there a tool that allows one to move a cursor in order to change the filtering threshold and to see the resulting network? After this, it is possible to use Cytoscape to load 'edges.txt' and its filters to remove the edges according to a threshold. I guess you'll be using the distance between the nodes as edge weights. In that case you can filter edges based on their weights which in this case is the distance. #Create a graph adjacency based on correlation distances between genes in  pairwise fashion.